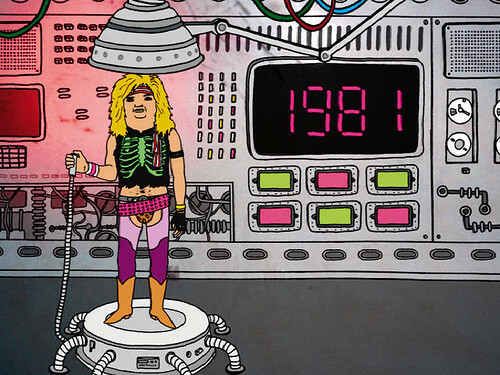 Since its launch in 1981, MTV has occupied a unique position in the international broadcasting industry, building an unstoppable global brand while adding credibility through the use of left-field graphics and animation. 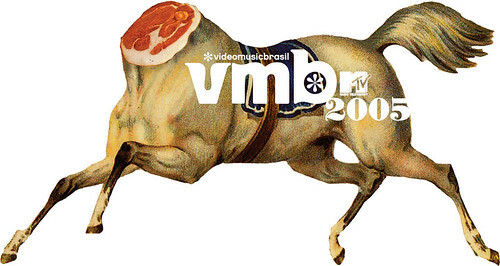 In addition to its core content of reality shows, celebrity gossip and video charts, the MTV [Music Television] network produces more than 10,000 ‘clips’ (original motion graphics) every year, aired across 166 channels and 350 digital media, to 578 million households in 162 countries. For insights into the way MTV has encouraged grassroots creativity, turning illustrators and other image-makers into movie-makers, I contacted a selection of MTV collaborators past and present, working across media and for various MTV channels worldwide: freelancers, ex-staffers and current staff. 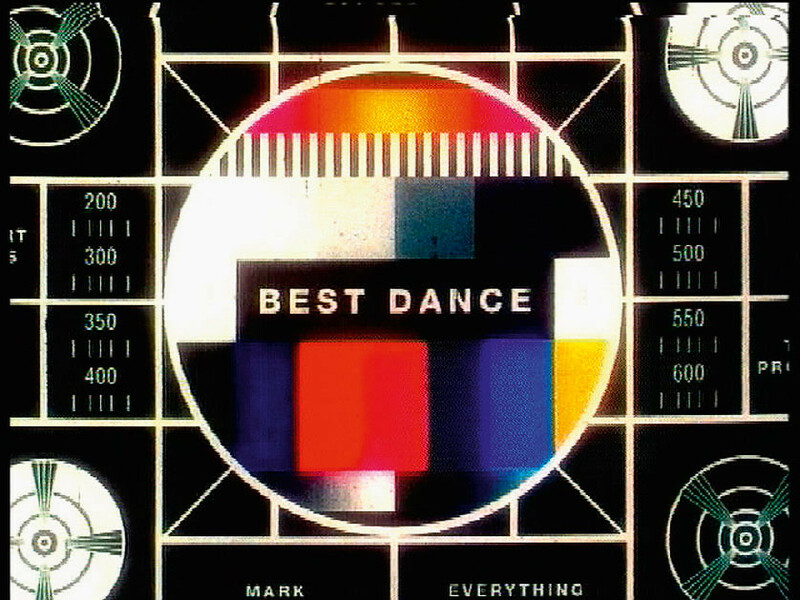 Paul Ayre, originally a graphic designer who dabbled in animation (‘a friend at the BBC let me play on the Quantel Paintbox’), freelanced at MTV Europe in the early 1990s before taking a job there and rising to be head of On-Air Graphics. In 1998, he moved to the network’s kids’ channel, Nickelodeon, as art director of On-Air Graphics, finally leaving in 2005. Producing station idents, programme titles and promos and PSAs (public service announcements), Ayre layered images and fast-moving informational graphics, and played with the aesthetic of the screen and the conventions of broadcasting, exaggerating grain, pixel, raster pattern and random glitches, even subverting the test-card. He also helped the network’s freelance illustrators and designers realise their vision, working with, among others, FUEL, Tomato and Anthony Burrill. Since MTV Europe launched in 1987, the network has expanded, going ‘glocal,’ setting up regional channels worldwide. Differing demographics, coverage and co-partners, add up to widely varying approaches and aesthetics. Fernando Leal took a pay cut to work at MTV Brasil because the competition for jobs there was so great. ‘It was chaotic, it was “guerilla” style! We had to improvise, which is challenging, it wasn’t a “software show-off.”’ But it was, he says, ‘one of the most talented design teams in Brazil.’ Leal’s digital collages transform antiquated ephemera into surreal visions ‘but working in-house it’s not possible to maintain a personal style ... so my plan was never to stay too long.’ He also knew that such an international brand in his portfolio would help garner respect when he relocated to London. For designers in their twenties and thirties, early exposure to MTV was influential. Ramiro Torres credits MTV’s ‘unique branding identity’ for his decision to become an animation director. Working in-house at MTV Latin America (headquartered in Miami, at MTV USA), he says, shaped him: ‘You needed to understand the entire production process and be hands-on, because of the limited development resources, but the payoff was creative freedom. Andre Andreev and G. Dan Covert of Dress Code (see ‘Mad about awards,’ Eye no. 69 vol. 18), were also staffers, this time in New York, working across all the US channels. Trained as print designers, they quickly accumulated skills. ‘It’s a kind of incubator for talent … and, when we were ready to leave, our bosses were very supportive.’ At first they would storyboard an idea and hand it over to an animator; but now, since setting up Dress Code, they sell back their technical skills, creating logos, ads, packaging and animation for the network. After nearly 30 years in business, MTV is a household name and commercial success. Yet with technology-led upheavals in the broadcasting and music industries, and the development of new media, the stakes are now much higher. Fortunately, there is still room for innovation across these multiple platforms. 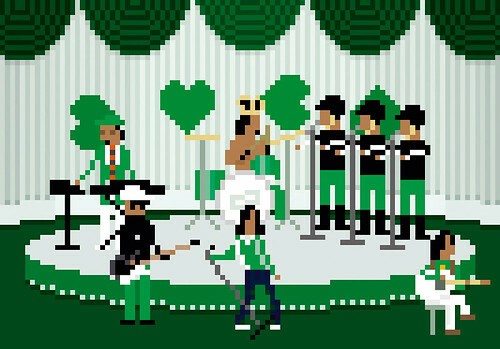 Craig Robinson was part of the team hired to re-design MTV Germany’s website, from which he developed his tiny monochrome characters, Nanopops and Minipops, as GIFF animations, which pay tribute to classic music videos by Outcast and The Police. It is indisputable that MTV helped develop the genre of motion graphics, by schooling illustrators and designers in new technology and giving them valuable air-time to demonstrate their creativity. But can MTV still be regarded as an ‘incubator’? Thanks to the editing capability of today’s Macs, low-budget has become no-budget; nascent animators can make and air their personal projects (on YouTube or Vimeo) beyond the remit of any institution, even a benign one. And the culture at MTV has changed too. ‘All TV is corporate,’ says Ayre. ‘It’s about ad revenue, audience share, making money.’ Pointing to MTV specifically, he adds: ‘There’s no risk-taking ... the creative department was once a powerful entity, not any more.’ There are rumours flying around that the entire network may be consolidated under one aesthetic, and that creative services are to be centralised. If that happens, MTV’s impressive diversity will be lost, and those small, seminal opportunities for nurturing new talent may become a thing of the past.